EcoLizer™ prevents wide pH swings and safely stabilizes buffering capacity. EcoLizer Down™ safely lowers pH. All of these are safe for fish and plants, and are scientifically blended and tested. TJB-INC recommends using a pH tester to give you an acurate reading so you know which EcoLizer pH product you should be using. For more information on Alkalinity, "CLICK HERE". To return to this screen when finished, click on your browser's BACK arrow located in the upper left corner of your screen. Do you know what pH is? 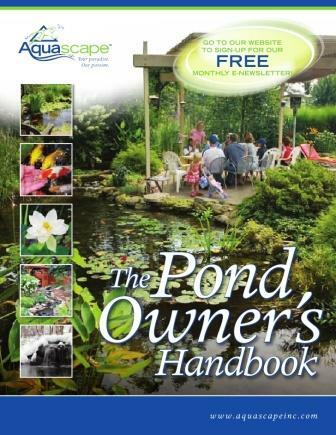 This is rudimentary knowledge to most avid pond owners, but for those who would like to know, here you have it. (pH) stands for potential of hydrogen, and is a measure of relative amounts of hydrogen ions (H+) and hydroxyl ions (OH-) in solution. At a pH of 7.0 a solution is called neutral since there are an equal number of hydrogen and hydroxyl ions present. Various substances in your pond water can tip the balance between these ions. A pH value less than 7.0 indicates acidic conditions, in which hydrogen ions are more abundant than hydroxyl ions, while values greater than 7.0 indicate alkaline conditions where hydroxyl ions dominate. The most common cause of low pH is the biodegrading of waste products in unbuffered water, and mistakes in adding pH adjusting chemicals. High pH is usually the result of exposure of excessive amounts of alkaline substances like carbonates, bicarbonates, and hydroxides etc. Good examples are alkaline tap water, exposure to concrete, lime, or excessive calcium. The use of a pH buffer will greatly reduce the chances of a pH crash, which is a sudden drop of pH to below 5.5. Economical Tip: Weekly addition of a small amount of baking soda to your pond will insure a reasonable buffering factor. A bag of crushed coral makes it goof proof. KMpHPen A waterproof pH pen is an absolute must to regularly monitor and adjust pond pH.